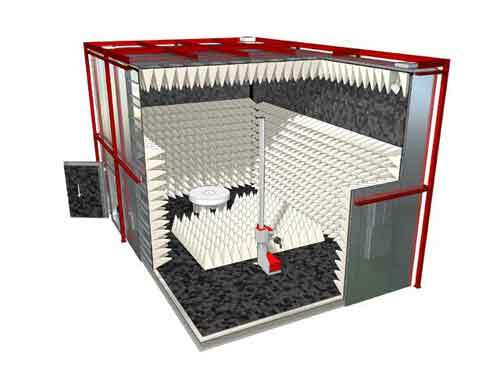 Frankonia fully compliant and state-of-the-art, with carbon free absorbers, 3m & 5m EMC Test Compliance Chambers with Quiet Zone (QZ) up to ø3.0m. With 30 years of in customized EMC chambers solutions, combined with our unique Frankosorb® absorber technology, we definitely provide a perfect combination of technology and quality, to meet our customers’ needs for a future-proof partnership. The SAC-5 Plus L is Frankonia’s full compliant EMC testing solution at 3,0m & 5,0m measuring distance with a Quiet Zone (QZ) of ø3,0m. It is adapted for full compliant emissions and immunity testing. The innovatively shaped roof, called dome design, with its optimized absorber layout leads to minimized reflections and offers outstanding performance for NSA, SVSWR and FU. The SAC-3 Plus is Frankonia’s most versatile full compliant EMC testing solution at 3,0 m measuring distance with a Quiet Zone (QZ) up to ø2,0 m.
It is adapted for full compliant emission and immunity testing. 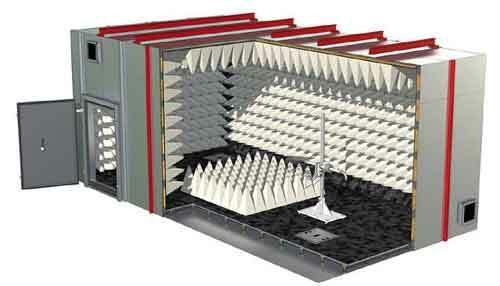 The FAC-3 is Frankonia’s fully anechoic chamber solution at 3,0m measuring distance for EMC tests on table top positioned EUT’s. It is designed as full compliant chamber for measurements under free-space conditions and is based on CISPR 16-1-4 as a test site without ground plane. Without the reflections from the floor, a height scan is no longer necessary. With its specific requirements for the test site, Frankonia’s FAC-3 is supremely prepared to meet our customers’ demands. 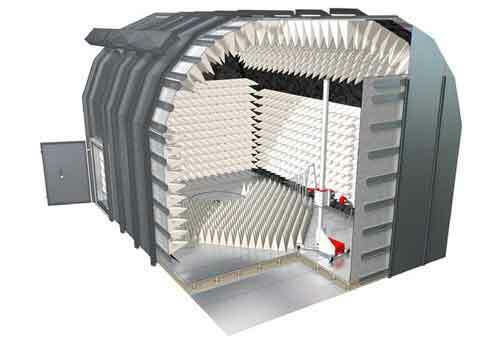 The FAC-3 L is the extended version of Frankonia’s fully anechoic chamber solution at 3,0m measuring distance for EMC tests on table top positioned EUT’s as well as on floor-standing EUT’s. 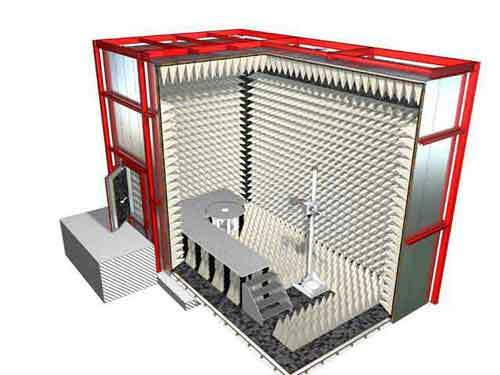 It is designed as full compliant chamber for measurements under free-space conditions and is based on CISPR 16-1-4 as a test site without ground plane. Without the reflections from the floor, a height scan is no longer necessary. With its specific requirements for the test site, Frankonia’s FAC-3 L is supremely prepared to meet our customers’ demands. The SAC-3/FAC-3 Transformer is Frankonia’s full compliant EMC testing solution at 3,0m measuring distance offering semi as well as fully conditions. The SAC configuration provides a Quiet Zone (QZ) of ø2,0m and is compliant with CISPR 16-1-4 as well as ANSI C63.4. 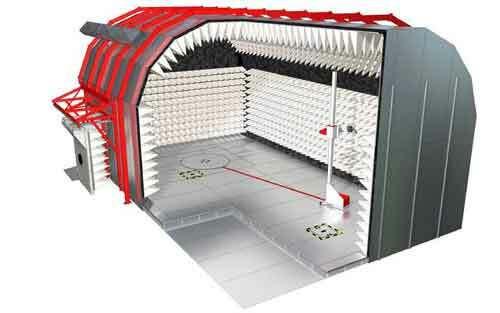 The FAC configuration provides a Quiet Zone (QZ) of ø1,5m and is compliant with CISPR 16-1-4 as well as IEC/EN 61000-4-22. The SAC-3/FAC-3 Transformer chamber is adapted for full compliant emissions and immunity testing with a traditional “square design”. 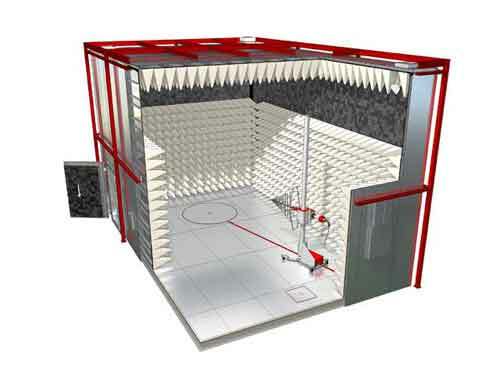 he SAC-3 Square is Frankonia’s full compliant EMC testing solution at 3,0m measuring distance with a Quiet Zone (QZ) of ø2,0m or ø3,0m. It is adapted for full compliant emissions and immunity testing with a traditional “square design” of the chamber.